William E. “Bill” Maley of Natchitoches passed away March 8, 2018, at Rapides Regional Medical Center, Alexandria. Bill was born Oct. 5, 1941. The family will receive friends from 9-11 a.m. Saturday, March 17 at Blanchard St. Denis Funeral Home. Funeral services will be March 17 at 11 a.m. at Blanchard St. Denis Funeral Home with the Rev. Billy Shugart officiating. Interment will follow at Jackson Cemetery in Flora. He was preceded in death by his parents, William Clinton Maley and Tryphena Geneva May; and father and mother-in-law, Floyd and Ruby Harrington. 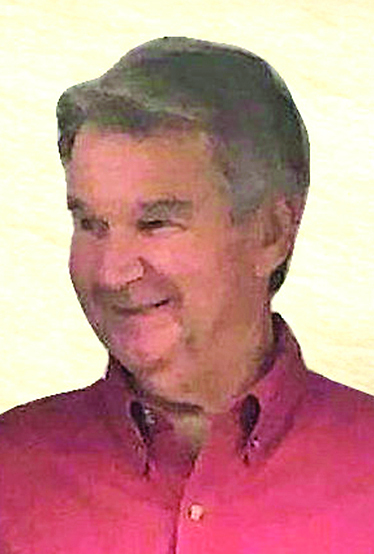 He is survived by his wife, Ollie Dean Maley of Natchitoches; sister, Linda Eager of Houston, Texas; brothers, Don Maley of Clearwater, Fla., and Thom Hurt of Pattaya, Thailand; son, Martin K. “Marty” Maley and wife Shaina Maley of Belle Rose, La. ; four grandchildren, Martin K. Maley II and William Elliot Maley of Baton Rouge, and Keeley and Brennan Landry of Belle Rose. He was a veteran of the United States Air Force and was extremely proud of his military service to our Country. Bill was an extraordinary salesman all our married life. He was always very professional and persistent in the way he dealt with clients. He truly had a gift and very personal touch with people. Bill was an usher and member of First United Methodist Church, Natchitoches. His love of God, his family and his friends definitely defined who he was. He will be missed by all who knew him. Those honored to be pallbearers are Martin K. Maley II, William E. Maley, Billy Joe Harrington, Randy Pittman Jr., John Pittman and Steven Pittman. In lieu of flowers, please donate to St. Jude Children’s Research Hospital, 262 Danny Thomas Place, Memphis, TN 38105.